Nice consists of two large bays, with the mountains of the Côte d'Azur rising up from it's suburbs. The region is home to some of the greatest and most famous roads in cycling. 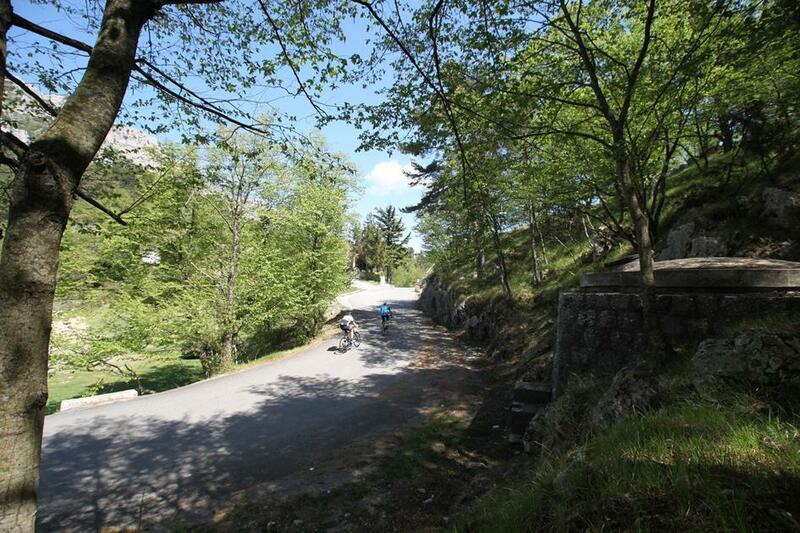 The Col de la Madone, made famous by Lance Armstrong, is an easy ride from Nice. 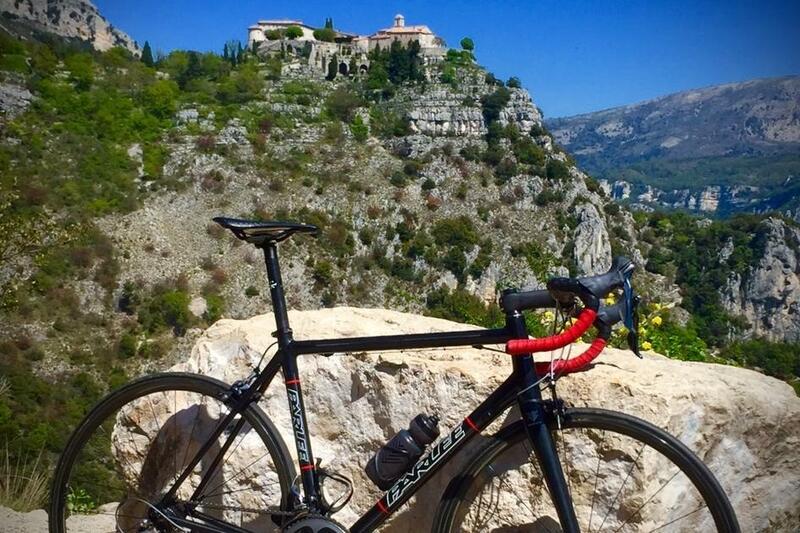 You can also ride the Col d'Eze, which features in the final stage of Paris-Nice, traditionally a time trial from the town centre - and many epic battles of this classic race have taken place on the roads in the mountains to the north. During this weekend we plan to show you the best bits of the Côte d'Azur. This is not our first trip to the area, and we can vouch for the quality of the riding, the warmth of the welcome - and the quality of the food! After arriving at Nice Airport, you will be met by one of our guides in the arrivals hall. Nice is a short 25 minute transfer away, but it will probably take about 45 minutes with traffic to make it to our hotel in the small village of Eze. Here you will be reunited with your bike that we have transported for you. A couple of hours for a nice Lunch, time to settle in and fettle your bike... and then we will test the legs with a 50km warm up ride (and importantly a coffee stop!) taking in the picture-perfect village of Peille and the climb of Eze, from the Menton side. 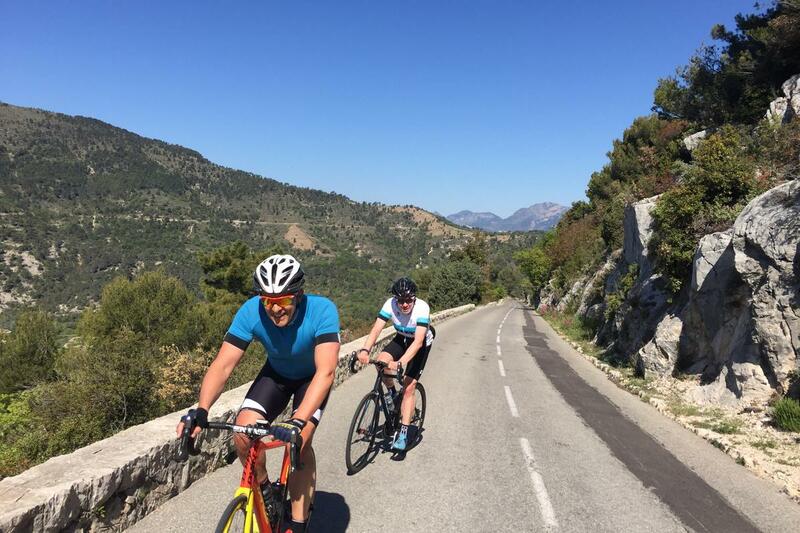 We start today by descending down the Col d'Eze and join the cycle path to ride through Nice along the sea front. Once past the airport we swing up into the hills to Vence. A quick coffee here as we have been climbing since we left the sea front, and then we tackle the Col de Vence. This climb in itself isn't hard, but if it's sunny the climb feels like an oven. The locals call it the Ventoux of the Cote d'Azur. A fast descent down the back and through the Gorges du Loup before we climb to Gourdon and our lunch stop for the day. From here it is a full gas 40km descent back to the coast. Along the cycle path again into Nice and then one final Coffee at the famous Café du Cyclist before we take on the last challenge of climbing back up the Col d'Eze to the hotel. 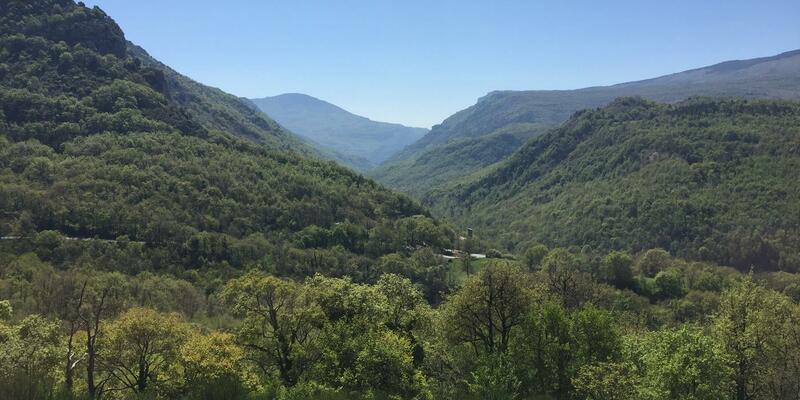 Today we explore the tiny back roads of the Cote d'Azur on a lumpy route into the hills. A few 15% gradients will test the legs and the small roads are a joy to ride. We take in several smaller, lesser known Cols on our route over to the Col de Nice. A stop for lunch and a coffee in a small village and then we climb the legendary Col de Madone. From the top, a long descent ensures before our climb back to the hotel. Time for one last local ride up the famous side of the col de Madone and a coffee in Menton, before your transfer to the airport. 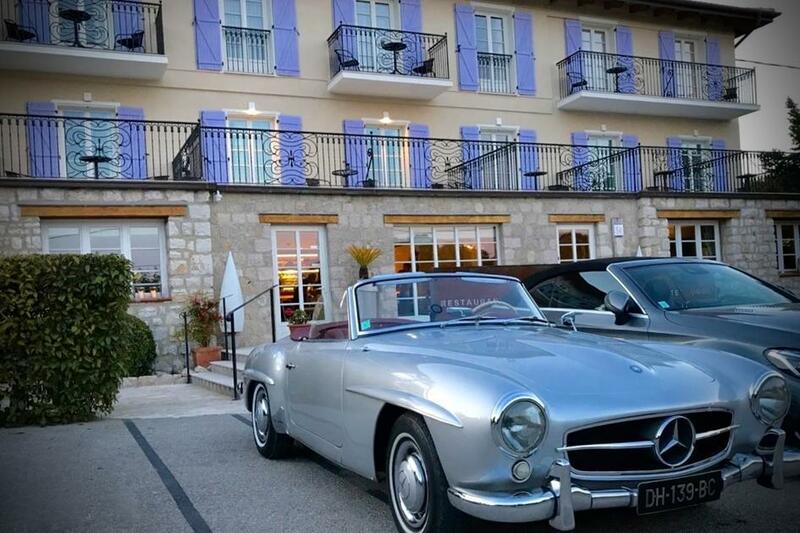 Accommodation is in a clean and comfortable 3-star bike-friendly hotel atop the Col d'Eze. 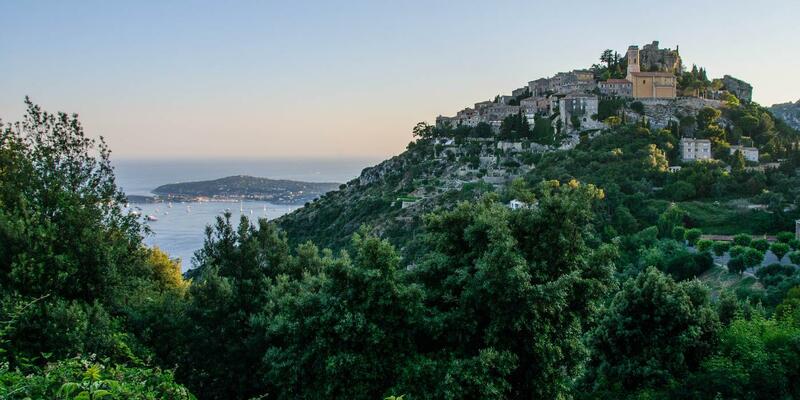 Eze has an amazing location between the sea and mountains, just 9km from Monaco, and the Hermitage*** offers 24 rooms, each one individualized with care, and one of our favourite Provençal restaurants. All your breakfasts, lunches, coffee stops and dinners are included in the price of the trip. Lunches will be provided each day in a cafe, or will be picnic lunches provided by the guides when the weather is good. Evening meals are provided at your accommodation or in a nearby restaurant. We also supply fruit, biscuits, cake, nuts, etc in the support vehicle throughout the day, as well as sports nutrition if required. Water and soft drinks will be in the support vehicle but any alcoholic drinks are not included and will have to be purchased individually.